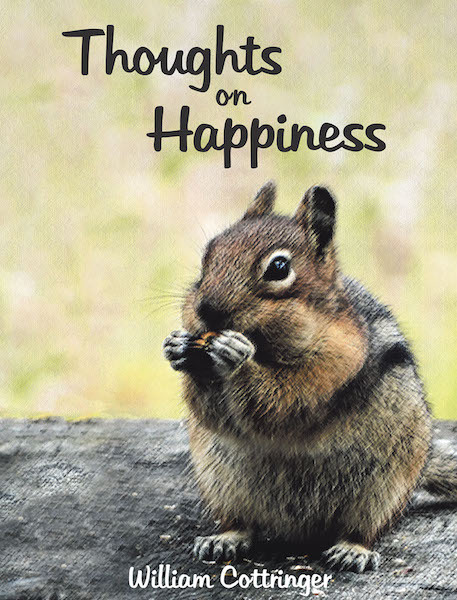 This is no ordinary book about happiness. In writing Thoughts on Happiness, Dr. Bill Cottringer collected his most meaningful digital photos of animals, flowers, and still scenes from his collection of over 140,000. This hobby started in 1962 when he bought his first camera, a Canon F-1, in Japan while in the US Air Force. During the last half century, he has also been a hobby writer of books and self-help articles, and so he decided to merge talents into this book of outstanding, telling pictures and clever, common-sense sayings about happiness for readers' enjoyment. The introduction to the book has a short poem that pretty much summarizes the author's thoughts on happiness.